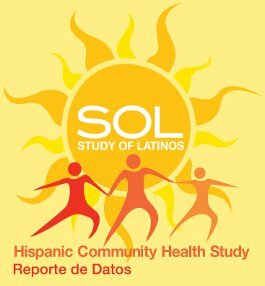 The National Heart, Lung, and Blood Institute have released a summary of medical research results of the Hispanic Community Health Study/Study of Latinos (HCHS/SOL) to the communities and participants from the largest health study of Hispanic/Latino populations in the United States. The HCHS/SOL is a multi-center epidemiologic study in Hispanic/Latino populations designed to describe the prevalence of cardiovascular and pulmonary disease and other select chronic diseases, their protective or harmful factors, and changes in health over time, including incidence of fatal and non-fatal cardiovascular disease events, exacerbation of pulmonary disease and all-cause mortality. In addition, the role of sociocultural factors (including acculturation) on Hispanic/Latino health is of interest. The initial study period was funded between October 2006 and May 2013. Over 16,400 Hispanics/Latinos, aged 18-74 years at enrollment, and representing different groups of origin (Central Americans, Cubans, Dominicans, Mexicans, Puerto Ricans and South Americans) were recruited and examined between March 2008 and June 2011, and are currently followed at four centers affiliated with San Diego State University, University of Illinois at Chicago, Albert Einstein College of Medicine in the Bronx area of New York, and the University of Miami. A research Coordinating Center at the University of North Carolina in Chapel Hill provides additional scientific and logistical support, and an Echocardiography Reading Center at Brigham and Women’s Hospital at Harvard University will provide the reading and interpretation of echocardiograms to be performed during this cycle.